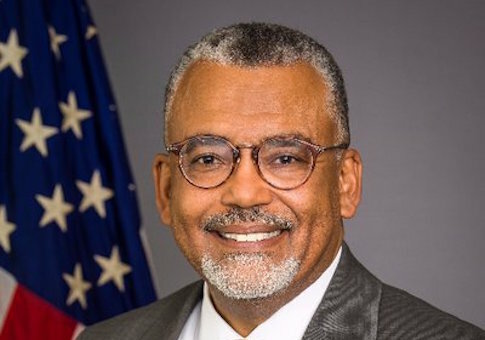 Labor watchdogs are urging the Trump administration not to reappoint President Obama's former National Labor Relations Board chairman to another five-year term. Democratic board member Mark Gaston Pearce's tenure at the agency expires on Monday. His seat must be filled by a Democratic nominee, as Trump has already appointed three management-side attorneys to the five-member board, which oversees labor disputes and union elections. Michael Lotito, a longtime management-side attorney at Littler Mendelson and co-chairman of the firm's Workplace Policy Institute, pointed to Pearce's radical history of decisions, which included overturning longstanding precedents regarding union organization campaigns, collective bargaining, and franchising. "For a president who wants to eliminate unnecessary workplace regulation, the nomination of someone who has created such workplace confusion by reversing 4,500 years of precedent seems ludicrous on its face," Lotito told the Washington Free Beacon. The board needs at least three members to fulfill quorum and operate, according to Supreme Court precedent. Keeping Pearce's current seat vacant would give the GOP a 3-1 majority on the panel, allowing it wiggle room to rule on controversial cases and set conservative precedent. Lotito said Trump should follow the precedent set by President Obama, who waited 18 months to put forth nominations and allowed a two-member Democratic board to rule on cases—which led to a rebuke from the Supreme Court over his unconstitutional use of recess appointments. Obama did not have a five-member slate of appointments until then-majority leader Harry Reid (D., Nev.) threatened to eliminate the filibuster using the nuclear option. "One of the reasons why the Pearce Board was so effective under President Obama was due to the fact it hardly ever had five members at all," Lotito said. "If there is a 3-to-1 majority for a period of time, issues involving joint employment, clear successorship standards, intermittent strikes, access to property, clarification of units, what constitutes a labor organization and many more should be addressed by the board in normal course." Some organizations and individuals with close ties to the White House have joined the chorus against appointing Pearce. The Federalist Society, which has helped Trump select judicial nominees to federal courts, announced its opposition in March, saying he was a "particularly virulent opponent of the rights of private-sector workers who choose not to support unions." Andy Puzder, a former fast-food executive whom Trump once tapped to be Labor secretary—he withdrew amid objections from Democrats and labor groups—also criticized Pearce in a Fox News op-ed. National Right to Work Foundation president Mark Mix said there is "ample precedent" to leave the board with a four-member panel. The foundation has argued numerous cases before the board during Pearce's tenure and had to turn to federal appeals courts to overturn Pearce's "extreme" interpretations of labor law. The administration should find a Democrat whose views do not consistently ignore precedent and legislation. "There is ample precedent for presidents leaving NLRB seats empty rather than nominating someone who would oppose their agenda," Mix said in an email. "Given Pearce's extreme views, which have repeatedly been overturned by Federal Appeals Courts, he should be kept as far away from the Labor Board as possible after his current term expires. Trey Kovacs, a Competitive Enterprise Institute labor policy analyst, also wants to see the seat left vacant. He pointed to the board's "ambush election" rules set during Pearce's tenure as chairman, as well as the joint-employer liability standard, as evidence of Pearce's "extreme pro-union bias." There is no reason to suspect that he will change his approach to labor law, according to Kovacs. "He demonstrated extreme pro-union bias and consistently ruled against workers who exercise their legal right to opt-out of paying union fees," Kovacs said. "There is no upside for businesses or workers for Trump to renominate Mark Pearce to the NLRB." The White House did not respond to request for comment about whether the White House had vetted other potential Democratic nominees. This entry was posted in Issues and tagged Big Labor, NLRB, Obama Administration, Trump Administration. Bookmark the permalink.